NBC will present Jesus Christ Superstar Live in Concert, a television version of Andrew Lloyd Webber and Tim Rice’s 1971 musical, on Easter Sunday, April 1, 2018, the network announced today. Jesus Christ Superstar was originally conceived as a concept album that hit #1 on the Billboard charts, and eventually made its way to the stage in 1971. It is based on the final week of Jesus’ life. Other historical figures that play prominent roles in the musical include Judas Iscariot, Mary Magdalene, Pontius Pilate, Caiaphas, Annas, Peter, Simon Zealotes and King Herod. The 1971 Broadway-debut production opened at the Mark Hellinger Theatre and starred Jeff Fenholt as Jesus and Ben Vereen as Judas. It was nominated for five Tony Awards, including Best Performance by a Featured Actor in a Musical for Vereen. The musical has been revived on Broadway three times. The most recent revival, in 2012 at the Neil Simon Theatre, starred Paul Alexander Nolan as Jesus and Josh Young as Judas. 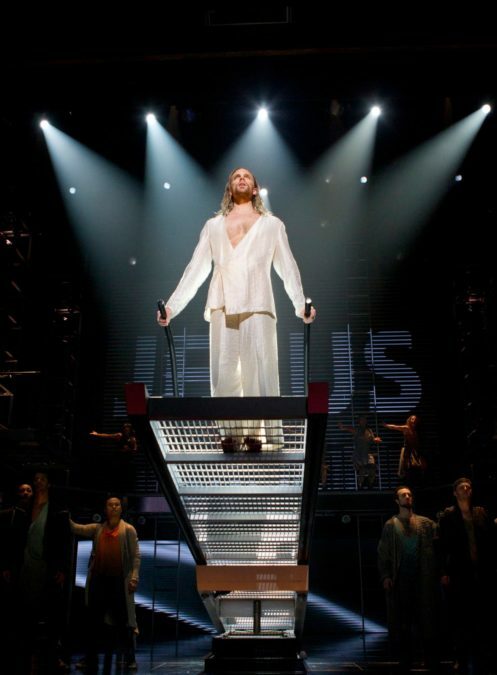 Jesus Christ Superstar has been performed in nearly 20 countries and translated into 18 different languages. A 1973 film version, directed by Oscar winner Norman Jewison, starred Ted Neeley as Jesus and Carl Anderson as Judas. NBC's other live musicals have included The Sound of Music Live, Peter Pan Live, The Wiz Live, Hairspray Live and the upcoming Bye Bye Birdie Live.